Lisa Oliver has only one goal for her students: to be prepared for a quality life, and that means starting off with a good education. 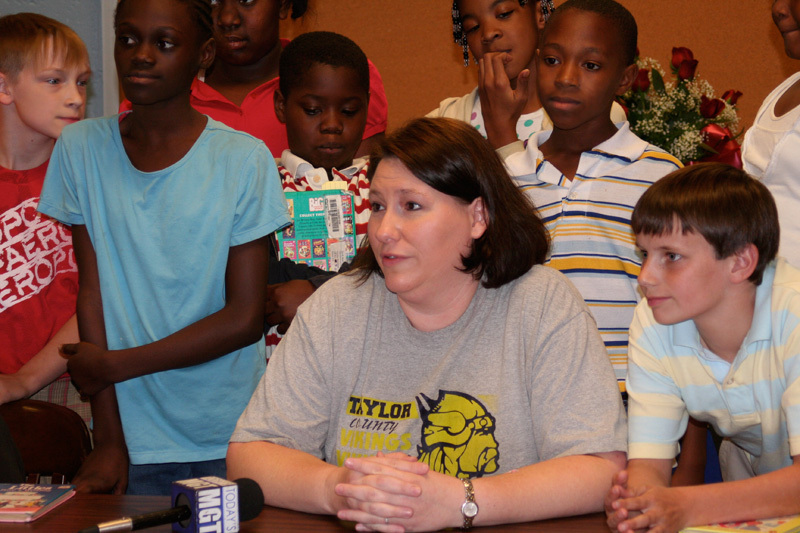 She says that more than one third of the children at Taylor County Upper Elementary School in Butler, Georgia, where Lisa teaches fifth grade, are living in poverty with little or no access to technology outside the school. They are in desperate need of up-to-date technology to prepare students to excel in our technology-driven world. “I would like for all of our academic classrooms to be upgraded into 21st century classrooms,” wrote Lisa in her application, “but we are in serious need of up-to-date equipment. Your generosity would help students at our school be successful for years to come and change lives in an extremely positive way. I would be thrilled to be a part of that.” There are about 500 students who will benefit from Lisa’s gift. 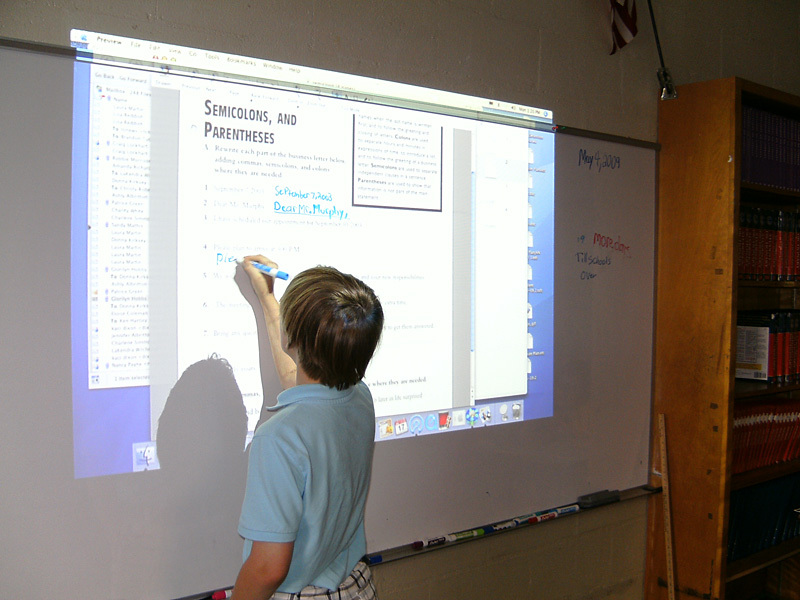 •	2 or more CPS units that are compatible with the projectors to allow students to use this technology in a more interactive way. Here's the latest from Lisa. "Most of the projectors are up, but we have had some problems with the mounting of the speakers. The field trip was great. 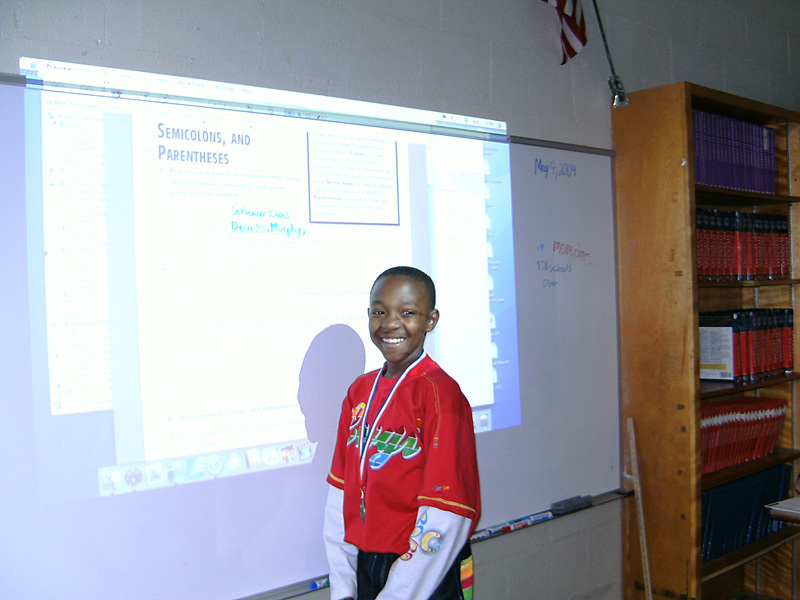 My kids did research projects on people who participated in the Civil War in some way. We then put a book together and had it printed and bound. The students had art class during the time before Christmas, and the art teacher taught them how to draw portraits. They did portraits of the person that they reported on, and they are included in the book along with their writing. They did an awesome job! I am so proud of my students. They are the best." Lisa's projectors should begin going up over Thanksgiving break. Her class will also be going on their first field trip in a very long time. She'll be taking her students to Andersonville National Historic Site on Monday. 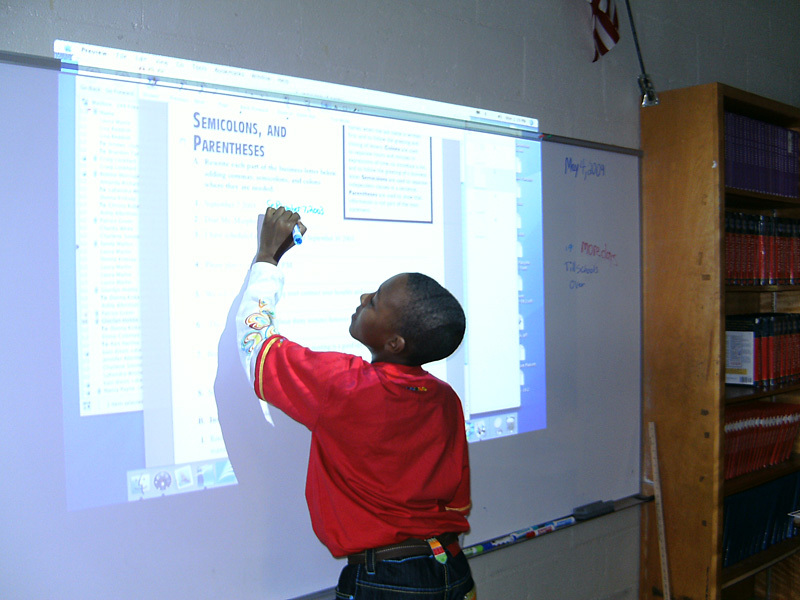 Georgia 5th graders study the civil war as part of their Social Studies curriculum. "We are SOOOOO excited!" said Lisa. " The board of education is allowing this field trip as a reward for winning the grant from you. 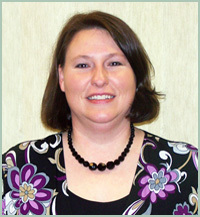 You have certainly made an impact on our school and our students. 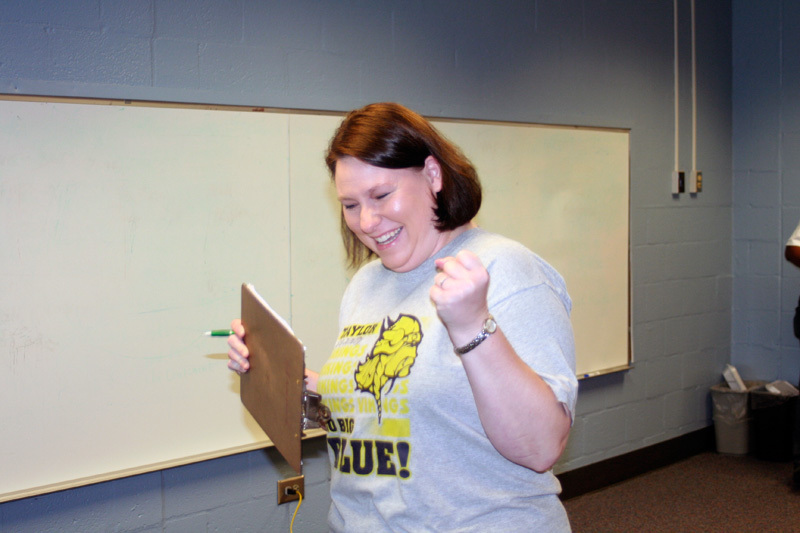 THe Board of Education also gave me a new laptop computer to make my job a little easier." That's great to hear. LIsa has also updated the school website with mention of her grant and some great photos. Click here to take a look. "I was extremely surprised," said LIsa about my phone call. "We are all so grateful for the money. 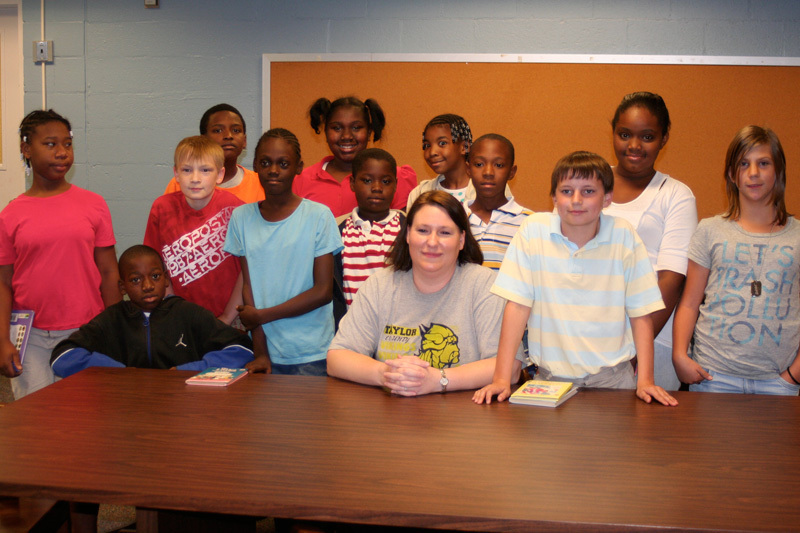 This has been a great blessing to me personally to be able to help these kids as well as a financial blessing to our school system." Lisa got the good news this morning with a little help from school principal Dr. Craig Lockhart. He gathered a roomful of people, including a leadership team of teachers and some of Lisa's friends who also teach at the school to be there for my surprise phone call. 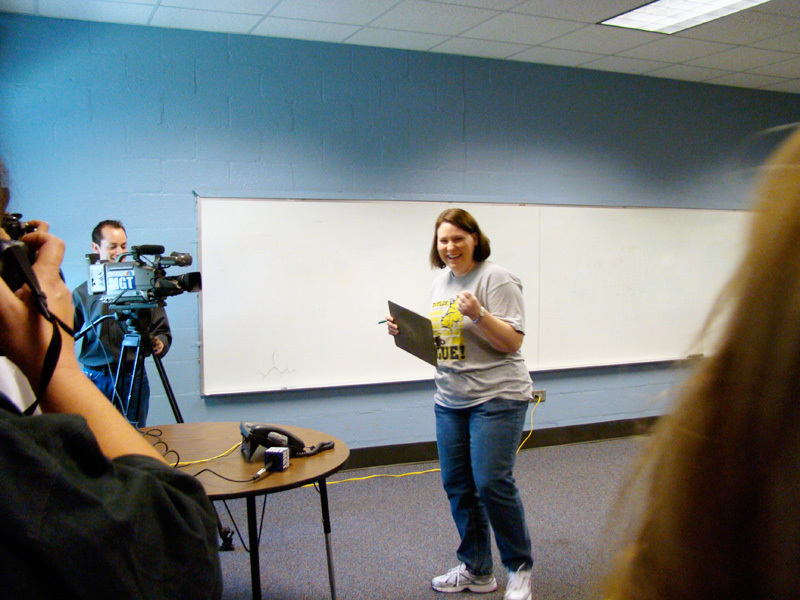 It sounded like she was going to cry over the phone because this grant will allow her to reach her goal of updating the school's technology. Lisa told me she and her husband have three children: Jessica 14, Owen 12, and Katie 3. She sounded ready to start shopping! 9/26: Jenny & Damon wrote... "Congratulations on becoming a part of our special Teachers' Month and for realizing the importance of technology towards a good education." 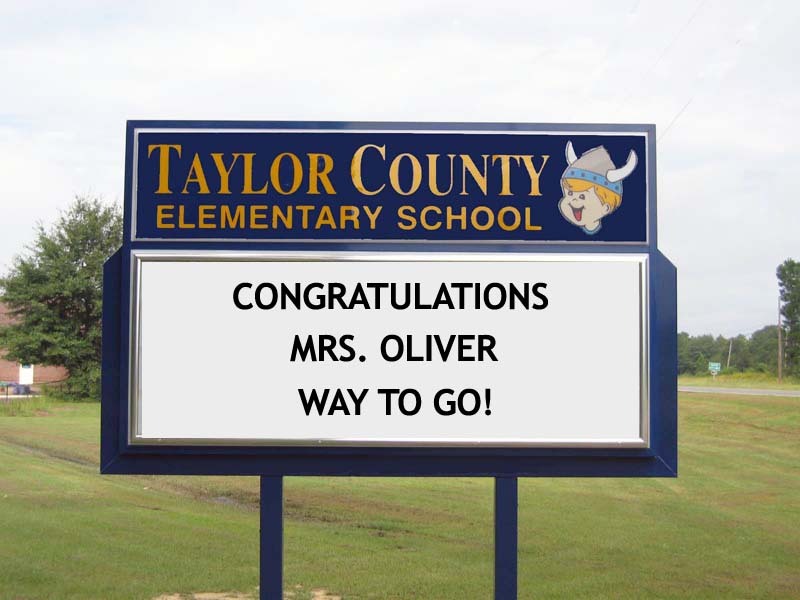 9/26: Vicki Locke wrote... "I am so proud of you Mrs. Oliver! Love you with all my heart!" 9/28: Bunny Harris wrote... "Lisa, Congratulations on winning this grant! 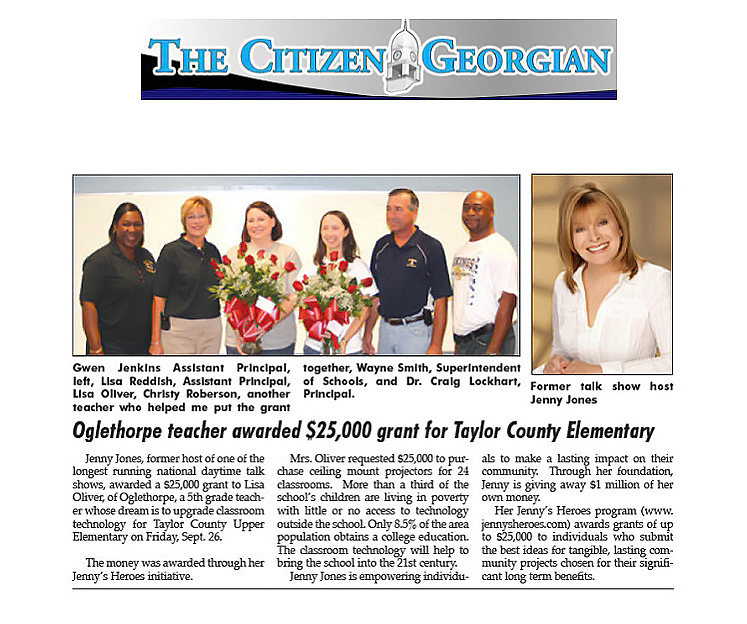 That is so exciting for Taylor County Upper Elementary to make a big step towards 21st Century Classrooms. 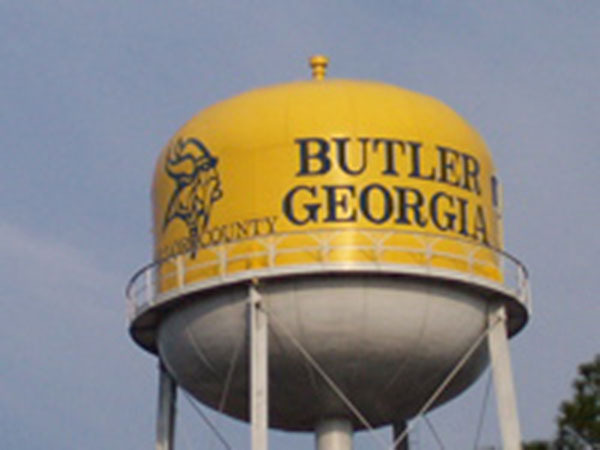 The Chattahoochee-Flint RESA Educational Technology staff is very proud of you for taking the initiative to gather some people and work on this project. Hard work pays off!" 9/28: Natalie Callier wrote... "I am so happy for you and your school! 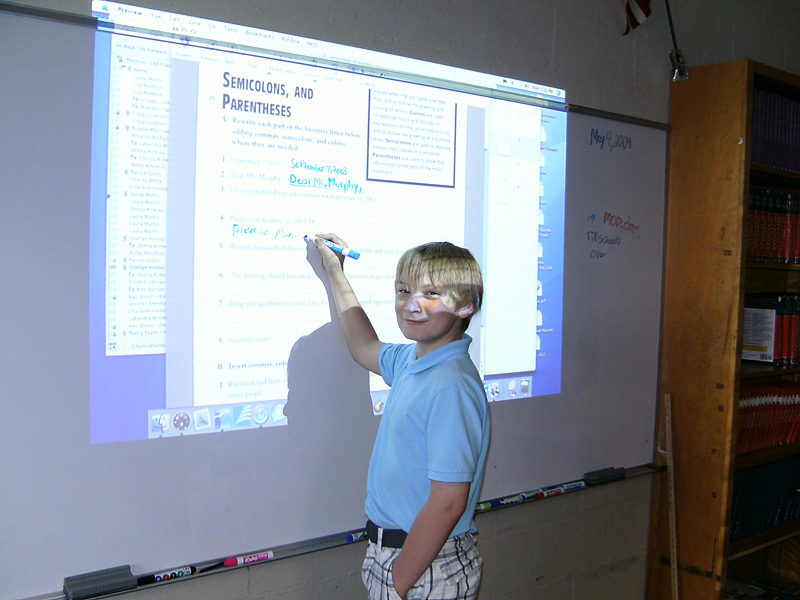 I know that you are delighted to be able to acquire this kind of technology for you, your students, and your school! I really admire the dedication and creativity you have shown in defining the technology you want to see in your school! I am proud of and for you! Keep up the good work!! nbc"
9/29: Stacy Jarrell wrote... "Lisa, Congratulations! 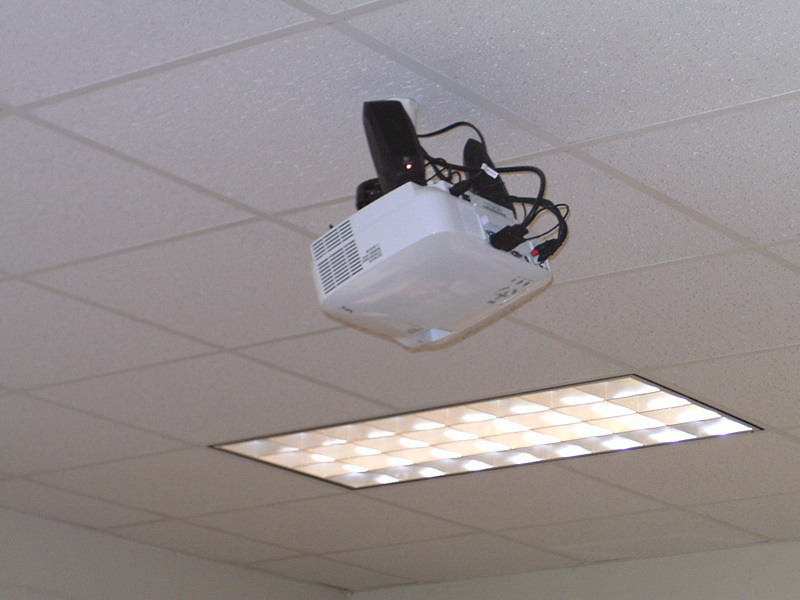 Projectors for all the teachers at TCUES will make a significant impact on the use of technology to improve student learning. Everyone is so excited about getting the projectors and “Classroom Performance Systems.” We are all very proud of you! WAY TO GO!!!!" 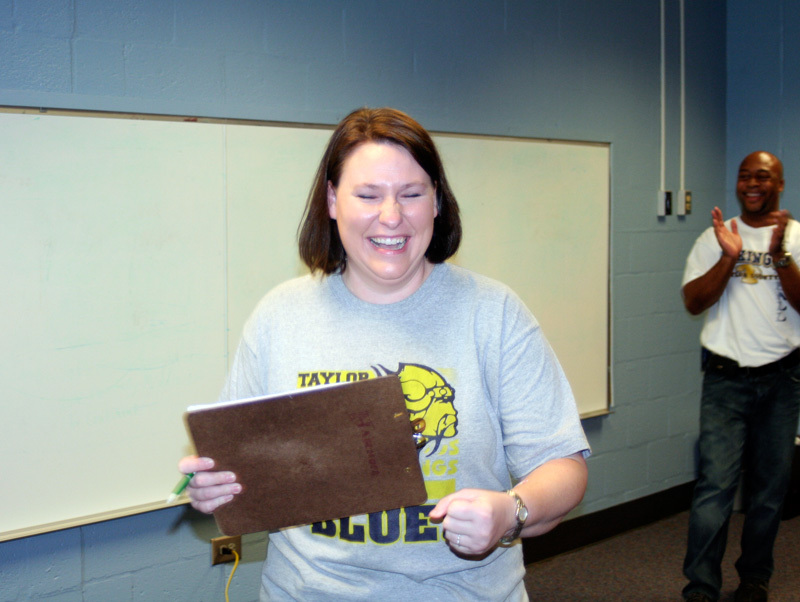 9/30: Jacob Fowler wrote... "Congratulations Mrs. Oliver! I am so proud of you and am so glad I am in your 5th grade homeroom this year. 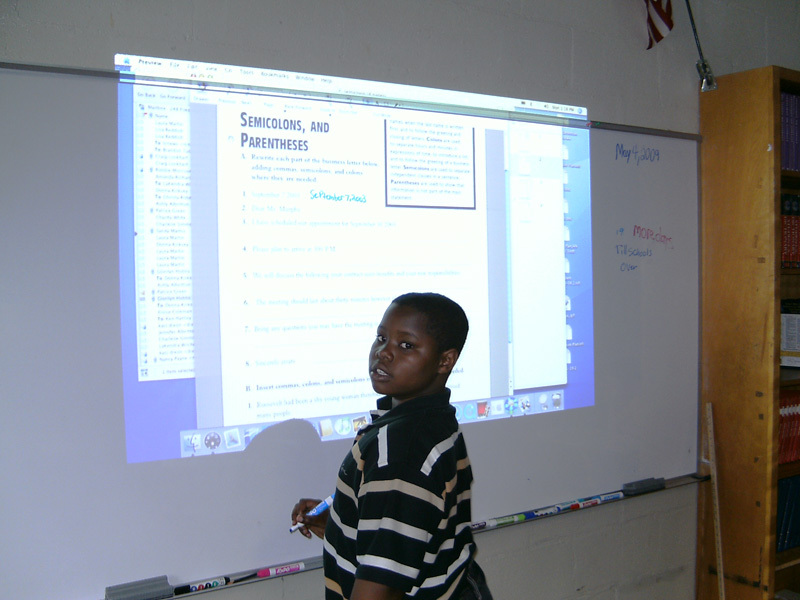 I can't wait until we can use the projectors!."